Thank you so much for helping us reach our matching gift challenge goal of raising $100,000! Those funds are being put to use subsidizing 50 buses to come down to the March for Marriage on Saturday. That is 2,500 marriage supporters! We have received an unprecedented number of requests and there is still a chance that we could add more buses... so, please, every dollar we raise in the next few days will go directly toward subsidizing additional buses. 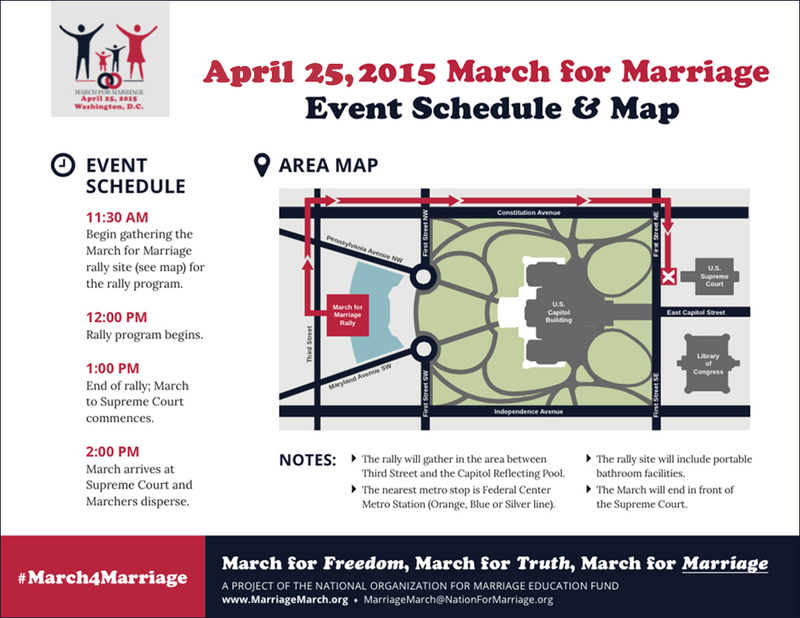 Please help us make this year's critical March for Marriage the best yet with a generous donation today!